The Premier Tool for Pro Domainers! We’ve created an amazing platform for you to mine quality domains names that can easily be used for flipping. All professional domainers say that Domainer Elite PRO is the go-to place for generating best domain names. Domainer Elite Pro Marketplace – Our marketplace is a central place for you to list your domain for sale. 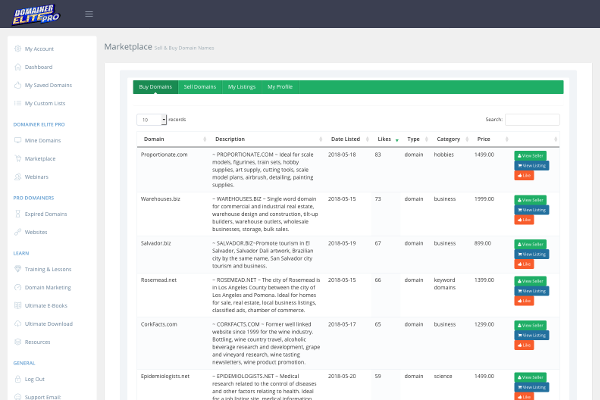 Use the marketplace to sell your domains to other domainers and to add domains to your default FREE profile page on Domainers.co. Visit domainers.co to see other professional domainer’s portfolio to get an idea of what other professional domainers are selling. Domainer Elite Pro Expired Domains – Our expired domain section comes with a fast list of available expired domains that are ready for registering. Our list is updated daily with a fresh new list of expired domains. Expired domains that have been in our database for more than 5 days are automatically removed and never shown again. 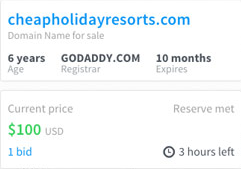 Plus, our system checks all the domains daily to make sure they are still available for registration. If not, the domain is removed from the database. PLEASE NOTE: To view the entire list of expired domains an active monthly subscription is required. 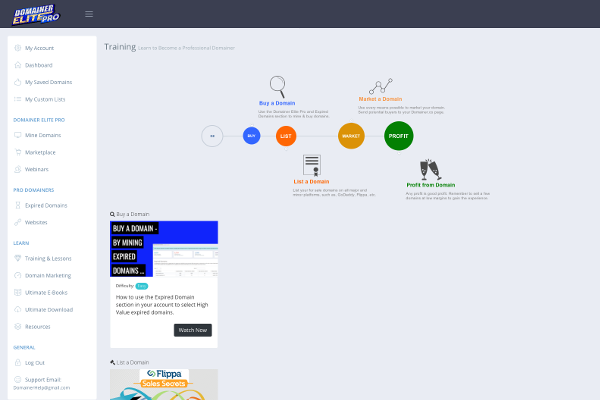 Domainer Elite Pro Training – Are you new to domain flipping but you want to become a PRO Domainer? Your purchase includes training on how to become a successful domainer. 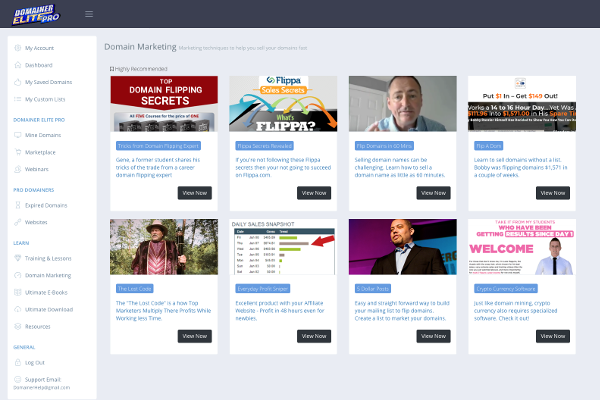 Learn from our exclusive videos on how to mine, buy, list, and market domains. Our videos are great for beginners and advanced domainers. 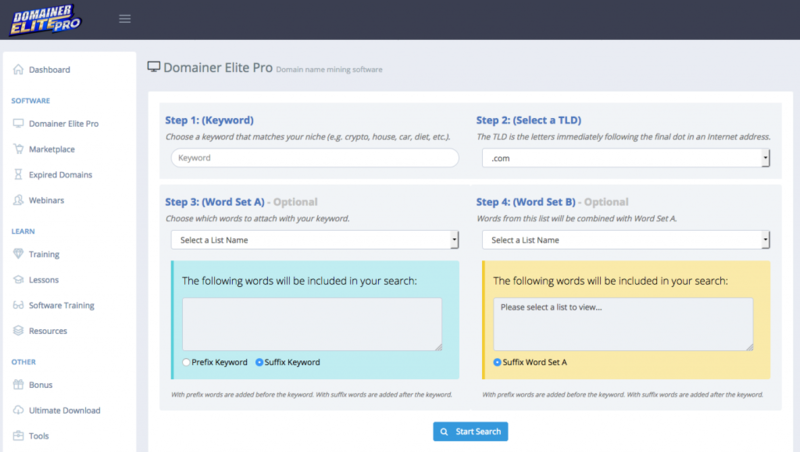 Domainer Elite Pro Domain Marketing – There is nothing more heart breaking then to find a profitable domain but you cannot sell it. 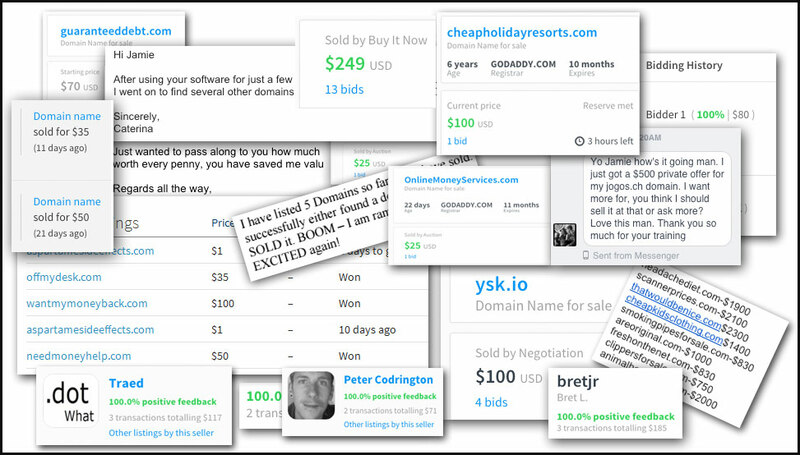 You’ll find resources and marketing methods to make sure you can sell your domains quickly. The marketing programs listed in our platform are not all free, but they are great tools from other expert domains who are extremely successful at flipping domains. It’s better to get other peoples perspective when marketing domains, as there is no one single best solution or method. A full list of expiring domains can be found in your account. 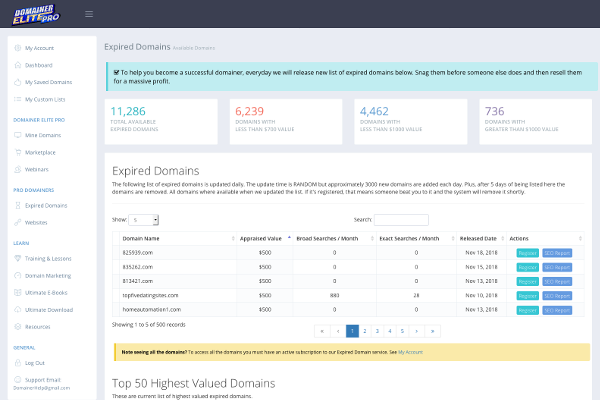 Approximately 1,000 new expired domains are added daily.